Bring the whole gang to the Club for a healthy dollop of festive fun. This year’s “Christmas Under the Big Top” theme brings clowns, magicians, jugglers and more to the Club for guaranteed good cheer. 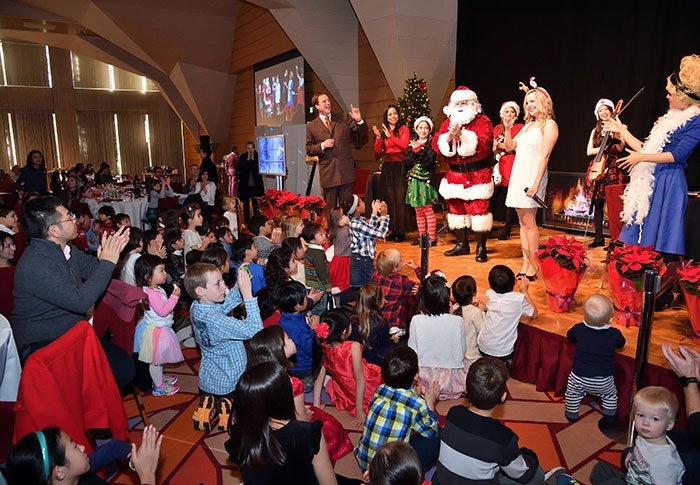 Dig into a seasonal menu of Christmas favorites like maple-glazed ham and herb-roasted turkey while the kids receive a keepsake snap with Saint Nick himself. All ages (naughty or nice) are welcome. Seating is assigned based on registration date and time. Strollers are not permitted on B2 or in the event venue. Cancellations received after 6pm on November 30 and no-shows will be charged in full.